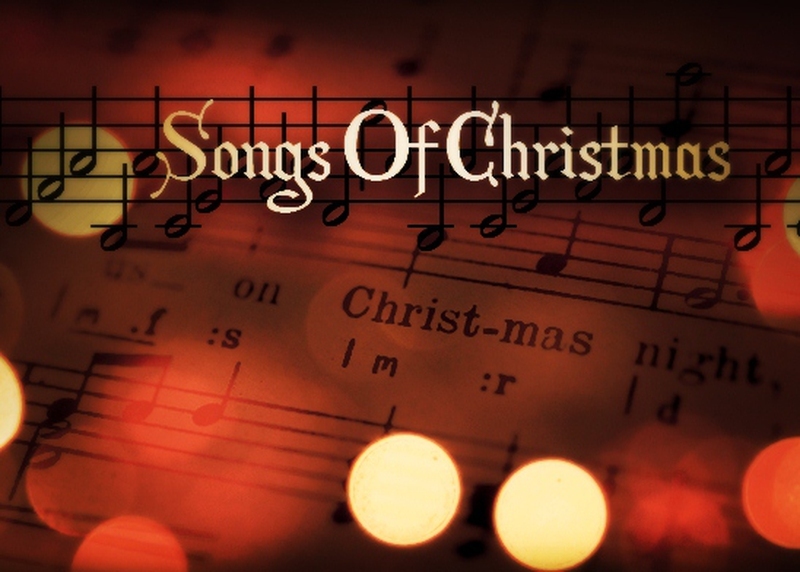 When we think of Christmas songs, hundreds of different visions pop into our heads. Christmas songs are designed to give us shared collective memories that are nostalgic and timeless. They makes us feel comforted and happy. There are some Christmas songs that are designed to bring laughter and may even on our nerves. However, they make you feel they are here to stay. Read on to learn more about some of the most popular tunes we sing. This famous song was written by Irving Berlin. The most popular version we hear is sung by Bing Crosby which was the theme song for the movie Holiday Inn. Composed in 1942, it was a favorite among the soldiers in WWII. The families of these soldiers also embraced the song. Later, there was another movie made about this song named White Christmas starring Bing Crosby and Danny Kaye. This whimsical song is a favorite among kids and adults alike! We all feel silly when we hear the teeny voices of chipmunks singing about Christmas. This song was written in 1958 by Ross Bagdasarian, Sr. or better known as David Seville. The members of the Chipmunks are Alvin, Simon, and Theodore and are seen in baseball caps and sweaters with their initials. This popular Christmas song has taken home three Grammy awards. In 2007, Alvin and The Chipmunks movie was released and was over the top in sales and a favorite among kids. Tommie Connor wrote I Saw Mommy Kissing Santa Claus that was recorded in 1952 by Jimmy Boyd. He was only age 13. The song is about a small child sneaking down the stairs to try and get a peek of Santa Claus delivering presents when he saw his mother kissing Santa. It is presumed that Santa was his dad dressed in costume. The Catholic Church looked upon the song negatively when they frowned up on the mixture of Christmas and kissing. One fact ignored was that it is a tradition for many people to hang the mistletoe, which many couples kiss beneath, during Christmas season. Jimmy Boyd met with the Church, explained what the song meant and they reversed their negative thoughts on the song. This song was originally a poem written by Robert May. He was commissioned by Montgomery Ward to write this poem. It was intended for Santa Claus to give it to children when they visited him in their stores. Since Robert May was an advertising executive, he really had a way with words and wrote this poem to be appealing to kids. Montgomery Ward had been giving away coloring books, which turned out to be quite an expense so the poem was much less expensive to produce. What would Christmas radio be without Jingle Bell Rock? This famous song has been played over airwaves since its release in 1957. The song was composed by Joseph Carleton Beal who worked in public relations executive from Massachusetts. The most popular version was released by Bobby Helms and was actually part parody to the song Jingle Bells. It also gives cameo to some of the popular 50’s tunes like Rock Around The Clock. This Christmas ballad was first heard in France and put to music by Adolphe Adam back in 1847. It was based on a French poem written by a French poet, Placide Cappeau. Mr. Cappeau was commissioned by the parish to compose a poem about Christmas in celebration of the completed renovations on the church organ. The odd part of the story was that he was an atheist and non-religious. When you hear this song, a snowy landscape immediately comes to mind. This song is designed to excite memories of falling snow, snow covered trees and lawns as well as the beauty of wintertime. This is an upbeat song about snow play and fun, but actually has a sad history. Winter Wonderland was written by a young man suffering from Tuberculosis. In the 1930’s, Richard Smith was stricken with TB and was confined to his room during midwinter. He dreamed of playing outside in the snow with the kids. In 1934, Felix Bernard put it to music as a gift to his ailing friend. Smith passed away and never heard the musical rendition of his poem. The song was released nationally in the U.S. by RCA and became a hit sung by many top names like Perry Como, Barry Manilow, and even Elvis Presley. This song was actually written on a very hot summer day, in 1944, by Bob Wells and Mel Torme to think about cooler weather. Despite when it was written, it became the number one performed of all Christmas songs! It was a hot summer day and Bob Wells was jotting thoughts about cooler weather on a note pad and wasn’t even thinking about writing a song. Mr. Torme saw the words; “Folks dressed up like Eskimos,” and “Jack Frost nipping,” and in forty minutes time they sat down and composed the song together. Little Drummer Boy was written and composed by Katherine Davis, Harry Simeone, and Henry Onorati in 1958. The song is very simple to remember and sing, especially for kids. They lyrics are mainly the words for a beating drum “rum puh puh pm.” Many who have done this song have achieved “hit” status. David Bowie and Bing Crosby did a duet and their version was a huge success! This was Bing’s biggest hit since he released White Christmas. Gene Autry wrote Here Comes Santa Claus along with Oakley Haldeman. Gene Autry thought of the song when he was in the Hollywood Christmas Parade in 1946. The people watching the parade were cheering “Here Comes Santa Clause” in excitement of his arrival on the parade route and hence a Christmas tune was born. It went on to be re-recorded by Elvis Presley, Doris Day and again by Bing Crosby, among others. It was also used in National Lampoons Christmas Vacation.